Are you looking for one of the leading High Tensile Hex Bolt Manufacturers In Delhi? Swarna Fasteners is the one where your search will end. 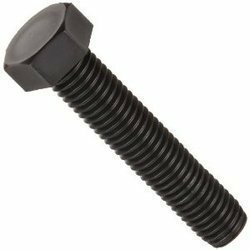 When it comes to the fastening of the equipment or object that require a strong grip for years and years, high tensile hex bolts come into the action. These are used in a number of manufacturing and improvement projects where solid fastening requires. These are indeed the best and in case you are planning to invest in them, we are the right destination for you to reach. Being one of the most dependable MS Hex Bolt and High Tensile Hex Bolts Exporters and Suppliers In Ludhiana, India, we assure you the prompt product delivery and around-the-clock support. Send us your enquiry straight from the website or call us now.